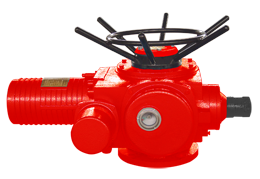 Pneumatic actuators being the most preferred type of all actuators are simple in construction, easier to operate, maintain and troubleshoot, used extensively in Process Industries for automation of Valves & Dampers. 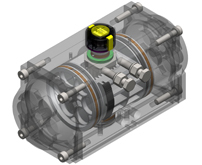 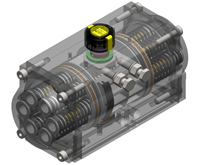 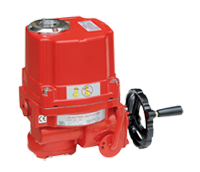 EP series offers pneumatic semi-rotary actuators that are rugged, INDUSTRIAL GRADE products. 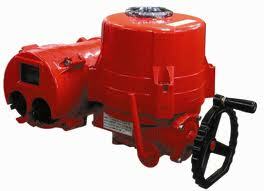 Limit switches 2 × SPDT, Proximity Switch and etc.